We're getting treated to summer in September this week. With highs warming to the middle 80s by Friday, it'll have a July kind-of feel to the air. 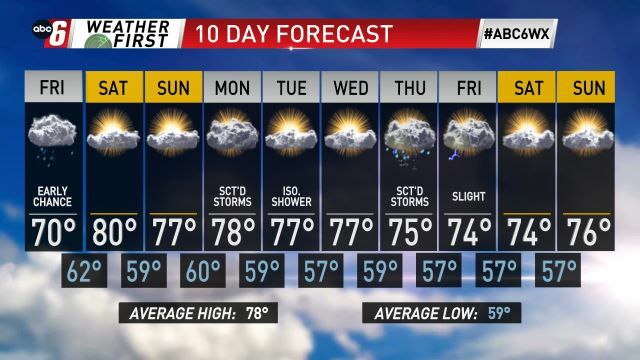 With Florence holding up the weather pattern, warm temperatures last through Monday. But after a front passes Monday night, that's when we go back to reality. Highs return to the upper 60s, a temperatures range more normal for mid-September.